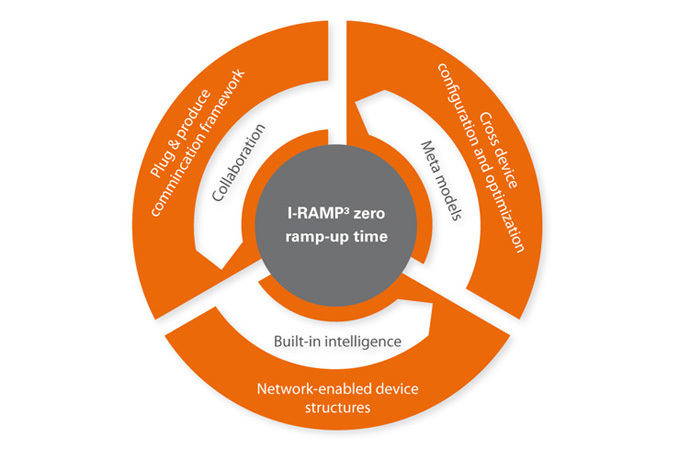 I-RAMP³ proposes the transformation of conventional production equipment into Network-enabled Devices (NETDEVs), which form the building blocks of a heterogeneous production network. Those agent-based production devices are equipped with standardized interfaces and standardized communication protocols as well as self-descriptive capabilities. NETDEVs are able to adopt themselves to varying production setup and production conditions by negotiating with each other on optimal configuration. In addition, also sensors and sensor grids can smoothly be integrated in the NETDEV-based manufacturing system. This holistic approach enables fast component integration and exchange as well as rapid adaption of the entire manufacturing system to change customer demands. 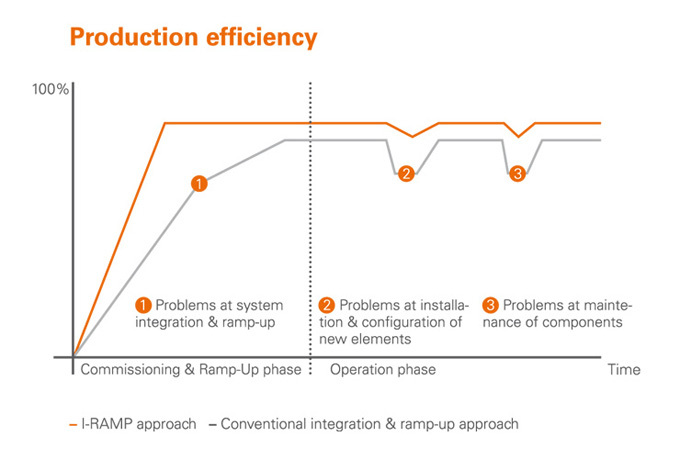 I-RAMP³ aims at enabling the industry towards zero ramp-up timeintegration of additional capabilities in existing and new production networks. In order to realize this goal the project will target four specific objectives.